¹The included prop filter is for in-cockpit use only. A prop filter for the rugged and waterproof case is sold separately. 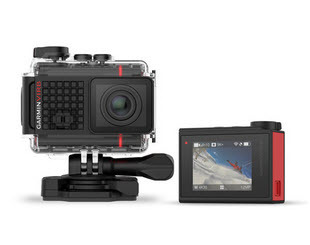 VIRB Ultra 30 uses 1 replaceable microSD™ card (not included). This device is compatible with a variety of microSD cards, and our list of recommended cards is below. Please format your microSD card regularly to ensure optimal performance. Make sure you have copied all of your data on microSD card before you format the card.